They are three of Europe’s most beautiful cities, laid out like the three stars of the Orion’s Belt asterism in the night sky. Their close proximity to each other means you can quite easily enjoy an unforgettable itinerary to explore all three cities without having to set foot on a plane. Most travelers will tell you that travelling around Europe by train is the best way to truly experience its remarkable countries. Europe’s broad rail network is well developed, extremely convenient, and offers fast reliable transit between most of its most famous cities. You have a wide range of trains to choose from including high-speed Railjet trains that will help you cut travel time, save money, and cater to your schedule. 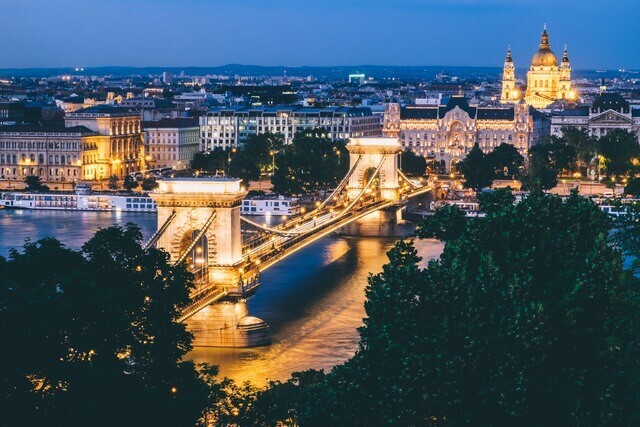 Here are some great tips for touring Eastern Europe’s best cities for culture and art, where you will take in three countries that include the iconic riverside cities of Prague, Vienna, and Budapest. All three cities make for a perfect start to your journey but Vienna International Airport offers more flight options and sees nearly as many annual passengers than both Prague and Budapest combined. You can easily see Vienna in three days. 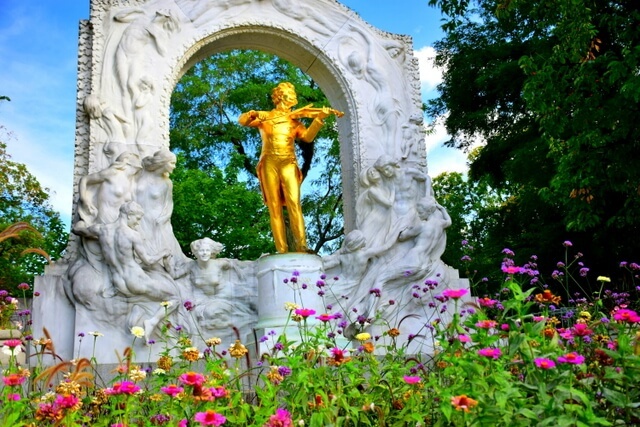 You will find many of Vienna’s most prominent landmarks in the Innere Stadt or Old Town. 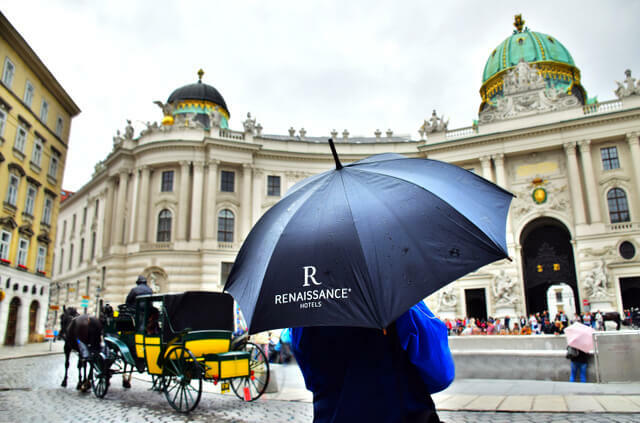 Here you will find the Vienna State Opera House, Museum of Applied Arts, Hofburg Palace, Michaelerplatz, and the Art Noveau palm house known as Schmetterlinghaus. Don’t forget to check out the apartments that once housed Beethoven and Mozart where they both lived and composed their masterpieces. 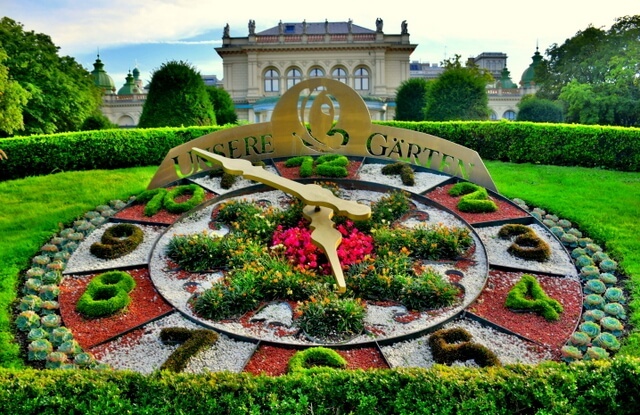 Outside the Innere Stadt, explore the 18th century Schönbrunn Palace, Belvedere Palace, the 250m tall Donauturm tower, and the Prater amusement park. Vienna has a wonderful public transportation system that is easy to use but you won’t need to use it once in the Old Town as attractions are within short walking distances from each other. You can use the U-Bahn which is underground or get a better view by travelling on the more scenic, albeit slower, trams which travel above ground. 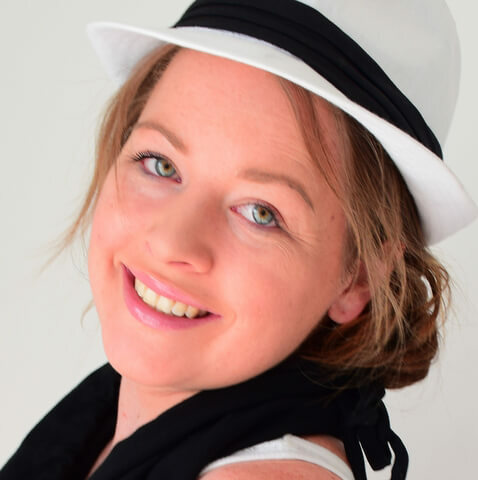 I would advise against renting a car as the streets can be quite confusing with their many one-ways and you will miss out on a lot by not simply walking. If you do need a lift, taxi rates are fairly reasonable and public transport is cheap. ➡ Summer in Vienna is beautiful but is peak tourist season so you may want to pick spring or fall to enjoy a lot less congestion. Winter can be cold but offers the chance to visit the city’s incredible Christmas markets which run from mid-November to Christmas Day. ➡ I recommend making a reservation when eating at fancier restaurants, where it is customary to leave a 10% tip. ➡ You should make an attempt to dress up when exploring the city and especially when visiting places like the opera house and palaces. ➡ German is the official language but the majority of the city speaks at least basic English. ➡ If you enjoy shopping, be advised that most stores are closed on Sundays. ➡ Purchase a low-cost Vienna City Card that will give you unlimited free travel on the public transport as well as attraction and restaurant discounts. Better yet, a child under 15 years of age can travel with you free of charge when you purchase a city card. Say goodbye to this beautiful city as you board the Vienna to Prague train, a high speed journey lasting only 4 hours. You will find numerous daily departures from early morning well into the evening at a very low cost of around 50 €. Prague is one of Europe’s most visited cities due to its rich history, countless museums and galleries, and notable schools. The city consistently ranks as one of the Top 10 cities in the world to visit, so let’s explore just some of the reasons that make it so special. 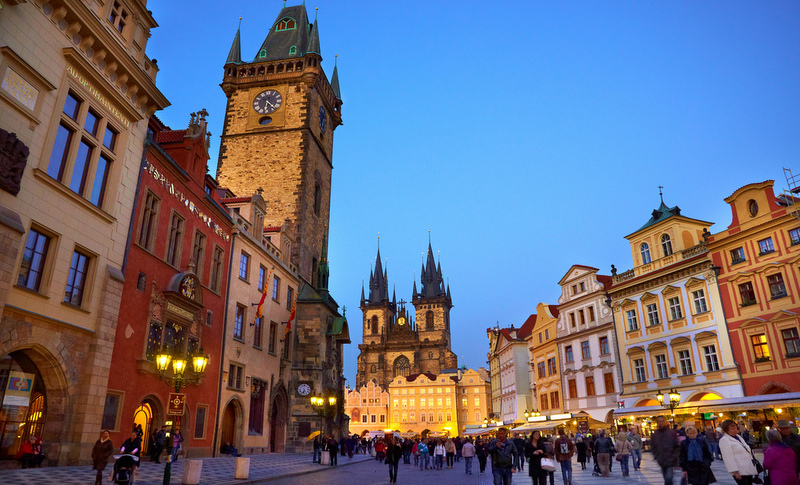 Castles abound in the Czech Republic and you will find one of the finest right in Prague. Here the 9th century Prague Castle sits and is where the President of the Czech Republic holds his/her office. You may find that castles in Prague close over the winter months but Prague Castle remains open year round. Another popular castle just outside the city is Karlštejn Castle. 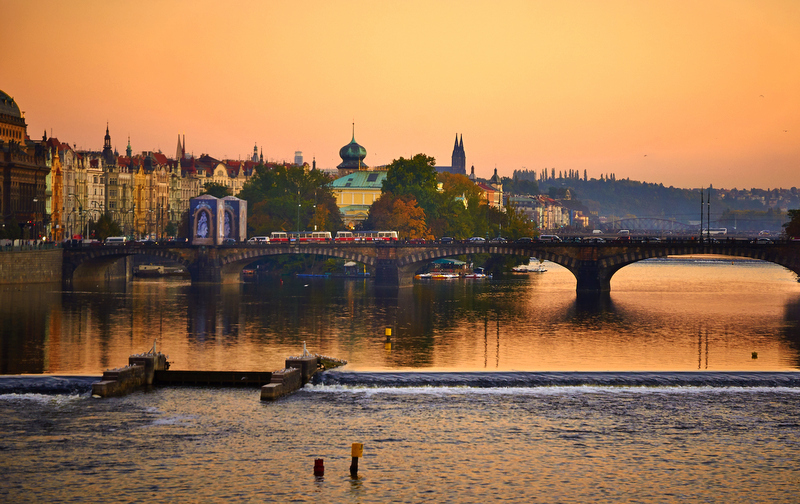 Be sure to catch a beautiful sunset from your viewpoint on Charles Bridge that crosses the Vltava River. The iconic Prague astronomical clock is currently undergoing renovation works but should be back around October 2018. Enjoy the historical architecture, alfresco eateries, and street performers of the Old Town Square. Afterwards search for the Sigmund Freud sculpture dangling in the sky or maybe take a Cruise on the Vltava. 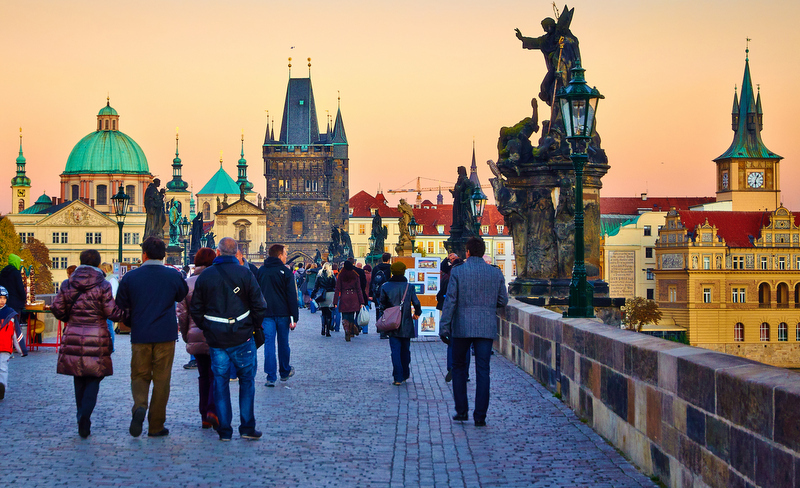 Prague is another city best experienced on foot but you will definitely want to wear a comfortable pair of shoes since you will find many cobblestone streets and hills to contend with. Most of your buses, trams, and metros run 24/7 and you can purchase a 24 hour or 3-day short term tourist public transportation pass. Only use taxis that are company run that list their details printed on their cars. Be advised, however, that Prague taxi drivers aren’t the safest. ➡ Unlike Vienna, shops in Prague are open seven days a week. ➡ Nightlife gets started a bit later than other European cities so prepare for a late night out. ➡ Avoid exchanging money on the street or in exchange offices that may scam you or give you unfavourable exchange rates. ➡ Tackle attractions early in the morning or late in the day to avoid crowds. ➡ Prague has some of the best and cheapest beer in Europe. Try some Pilsner Urquell and enjoy a pint for around 2€. Next and final stop is Budapest and the best way to get there is…you guessed it, a train from Prague to Budapest. The roughly 450km journey departs from central station in Prague and takes around 7 hours, costing about 70€. Budapest makes for a great final stop, especially if you find yourself running out of money. 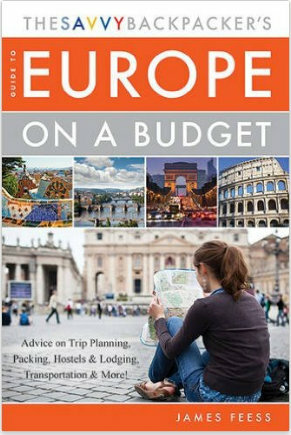 It is one of Europe’s more affordable cities, far more inexpensive than both Prague and Vienna. 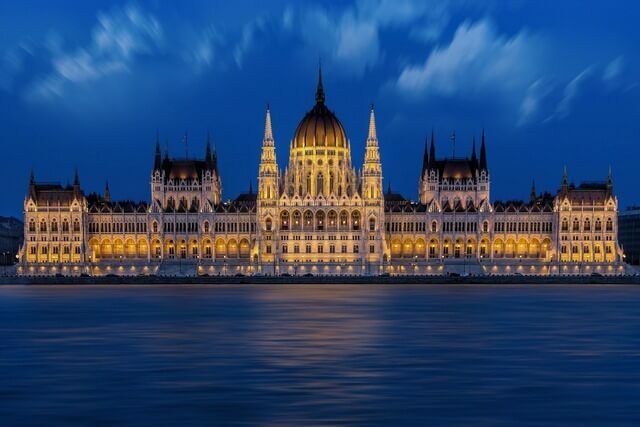 Budapest is a city of inventors, hot springs, culinary delights, and a wealth of history. It is one of Europe’s most picturesque cities with most of its famous monuments located along the Danube River. It is definitely one of Europe’s Top 10 cities that is visited by millions of travellers each year. The city is divided into two distinct halves, Buda and Pest that are linked by several famous bridges. Take a stroll along the first permanent bridge to be constructed across the Danube, the Széchenyi Chain Bridge. View one of the largest collections of European art that includes well over a 100,000 works in the Museum of Fine Arts. Relax in the Széchenyi thermal baths, one of the largest bath complexes in Europe. Be mesmerized by the Dohány Street Synagogue the largest synagogue in Europe (2nd largest in the world). History lovers will of course want to check out Buda Castle and Fisherman’s Bastion. Escape to the relaxing oasis known as Margaret Island to enjoy jogging tracks, popup restaurants, gardens, and live music. Most of Budapest’s city centre and historic districts are suitable for walking. There is of course wonderful public transportation as well including the metro, trams, and buses. You will definitely notice the city streets lined with cables that run the streetcar system. The city is also noted to have the second-oldest metro line in the world! You can also take advantage of the Danube River passenger ferry service as well as riverboat transport. Enjoy a tour of the Buda Hills and all its attractions on the Children’s Railway which is run by kids that are supervised by adults of course. ➡ Remember the correct Pronunciation of the city is Boo-Da-Pesht, not Boo-Da-Pest. ➡ Don’t forget to exchange your Euros or other currency for Hungarian forints; although Hungary is a member of the EU it does not use the Euro. ➡ Be sure to check out the District VII neighbourhood (the old Jewish quarter) for its ruin bars which have turned old derelict buildings into hip entertaining bars. ➡ Take a moment to reflect on the city’s countless memorials that pay tribute to the destruction and murder that took place here during WWII. ➡ To create your own Hungarian cuisine, head to the Great Market Hall spread over three levels where you can find all the freshest produce, meats, wines, and more. When it comes to Eastern Europe travel, destinations like Prague Czech Republic, Vienna Austria and Budapest Hungary make a great route. Click pin for beautiful things to do in Eastern Europe, and travel tips to help form your itinerary! Those churches are quite amazing Meg. Dripping with history. Seeing those domes reminds me of that region of the world. We were heading to Budapest after Istanbul 2 years ago but had to cancel. Fam stuff back in the US. Fabulous post as always. Aren’t they! I hope you have the chance it work Budapest into another trip at some point – it’s one of my favorite cities in Europe – so stunning and so much fascinating history to explore. A very authentic region. Love it so much! So glad it was helpful for you – have an amazing trip! 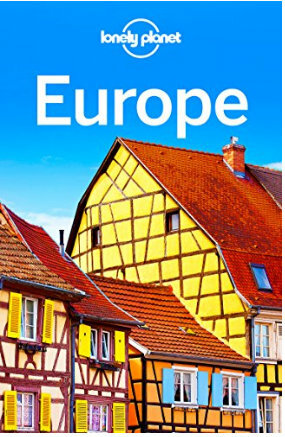 I think Europe is the best place in the world, I really like all the country of Europe. I will never forget sailing the Danube and arriving in Budapest at midnight. Me too Howard Blount! The sight of that building at night is unforgettable. You’re welcome Elena, glad the post was helpful :) Happy travels! We visited those very cities a couple of years ago and had a wonderful time; I particularly liked Budapest and was fortunate to get some great photos! These are probably some of the most beautiful cities in Europe and the monuments you’ve presented to us are incredible. I will consider your post the next time I’ll be in the area. Simply beautifully captured shots. 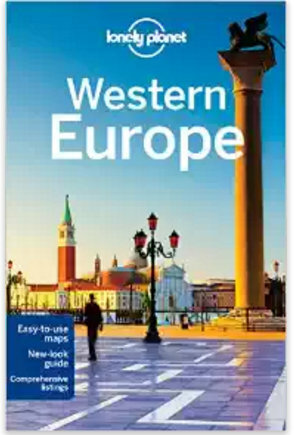 I loved going through this handy and useful guide that will be useful for those traveling to this part of the world. Thanks Kalyan, so glad you enjoyed the post :) Hope you have the chance to travel to this part of the world too! I’ve gathered 50 photographs of probably the most pleasant places in Austria. 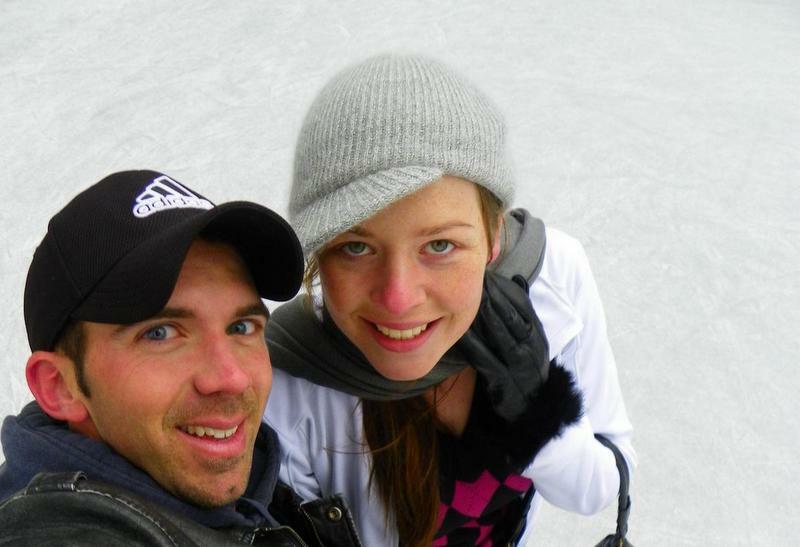 vienna some of the most beautiful cities in Europe and the monuments you’ve presented to us are incredible.